It’s been an extremely hectic week for the general public and law enforcement. So instead of rehashing every raw detail of what happened in Baton Rouge, Louisiana, Falcon Heights, Minnesota, and Dallas this week, we asked current and former black police professionals their opinions. Dodson is a retired police officer who served with the Metropolitan Police Department in Washington, D.C., for 29 years (1981-2010), mainly in specialized units. He worked in details with the Drug Enforcement Administration and the Bureau of Alcohol, Tobacco, Firearms and Explosives and went undercover with the FBI. He also served in the mayor’s detail in Washington, D.C., for seven years. On the death of Alton Sterling: “The guy down in Baton Rouge, you would never approach a man with a gun by tackling him. You would always tell him to put his hands up so you could see them. If you tackle him, you might get killed. He might kill you. There might be devastating results, and that’s what happened. That’s a no-no. I’ve NEVER seen anybody approach a man with a gun like that. “I would’ve never, ever have tackled [Sterling]. I just saw what they showed on the TV. I don’t know if they talked to him, but you gotta be patient with a man with a gun. If you don’t see the gun, you have to ask him to comply, to put his hands up, ask him to lay on the ground. I don’t think you should ever tackle him. I don’t know the whole story because they just showed part of the video and then they have the other video from the store. But I wouldn’t have handled it that way. “I’ve never shot anybody. I try to talk people out of it. That was just my style. Some guys, as soon as they had the opportunity, they’d shoot. When I was undercover, this guy had a gun. I pulled my gun out and said, ‘Put your hands up in the air.’ He immediately goes in his pocket, pulls out the gun and drops the gun on the ground. I could’ve shot him, but I didn’t. With the grace of God, and I guess my luck, I didn’t have to shoot anybody. I could have, but I always tried to talk them out of it and be patient. On the death of Philando Castile: “The incident in Minnesota, it’s devastating. It looks like they didn’t try to give the guy any first aid or medical assistance. The kid was in the car when the guy got shot. The woman was in the car. Then they handcuffed her and put her in the back of a scout car with her kid in the back of the car. That was amazing. Unheard of. She didn’t do anything wrong. 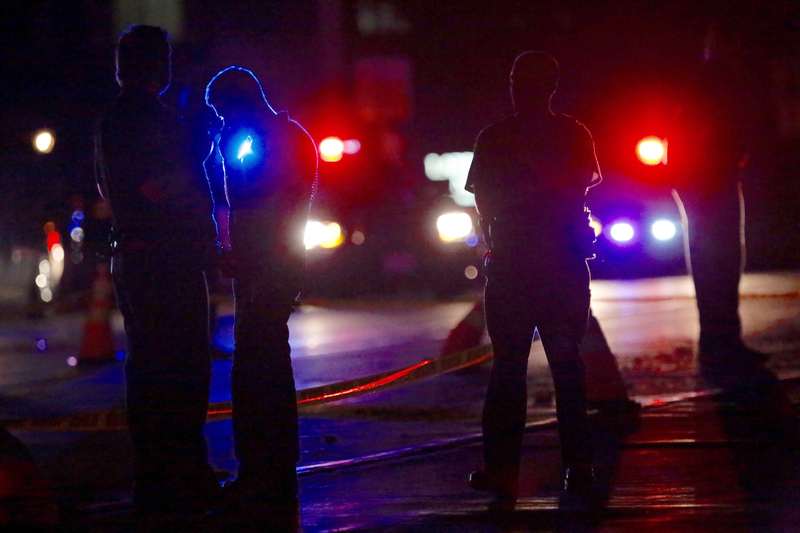 Investigators work at the scene of a police involved shooting with St. Anthony Police officers on Wednesday, July 6, 2016, in Falcon Heights, Minn. Police in Minnesota say a man has been taken to a hospital in unknown condition after being shot by an officer while inside a car with a woman and a child. St. Anthony Police interim police chief Jon Mangseth told reporters at a news conference that the incident began when an officer from his agency initiated a traffic stop around 9 p.m. Wednesday in Falcon Heights, a St. Paul suburb. On the deaths of police officers in Dallas: “They’re out there trying to keep peace and fight true justice in an American way. They get killed like that because some vigilantes want to take the ball in their own hands and kill innocent police officers. They were trying to make sure it was a peaceful rally. I get upset about that. It’s a terrible situation. Those guys have kids, families and wives just like Sterling and Castile. They had families, too. It’s just unfortunate. On black police officers in America: “These situations on the street have put pressure on all police officers, not just black police officers. 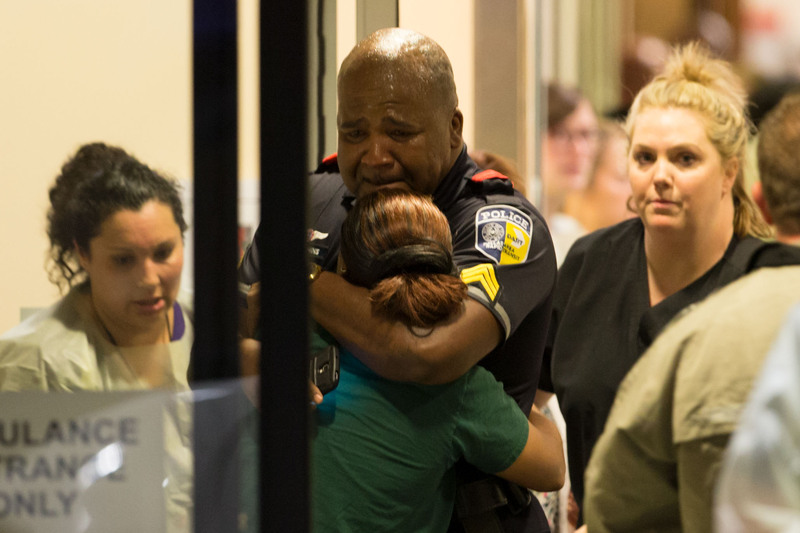 Of course, black police officers want to serve their community, their families and their race. They want to do the right thing to try to help these young people understand that you need to cooperate and that police officers are not your enemies. They’re your friends. They’re supposed to be peacemakers, not hurt you. Preston has served as the deputy police chief for the Bowie Police Department in Bowie, Maryland, for the past 4 1/2 years. He’s been a police officer in Prince George’s County, Maryland, for 26 years. On being a black police officer in America: “Who I am and who I’ve been for almost 26 years is the same person. Being a person of character, a Christian man, doing my job and doing it effectively. Being a person of character means I’m someone who holds himself to a certain standard. If you’re walking into the community, walking into the convenience store saying, ‘Hi, how you doing?’ — it breaks the ice … It allows us to put the person at ease. We just got back from lunch and had people come to us and say, ‘We’re praying for you.’ They’ll pray for us, by name, on a daily basis. For most people, it’s a calling — we’re not looking for the pat on the back but it’s good to hear that support now and then. We also want to hear things that can be improved upon. The chief is putting out a message to our community wanting to know how you feel about the city of Bowie, [Maryland]. Me being an African-American male and having an African-American son, there are certain things I teach to my son about how to act: Don’t bring undue attention to yourself. He’s still young, he’s still under my authority. It’s not about fairness — ‘I should be able to do what I want to do’ — because that’s not the reality in life. The bottom line is you need to comply and be in compliance. But it is unacceptable for anyone to be mistreated or be profiled. Those are things we talk about. We want to make sure things are fair and impartial, but we are human beings. Parks served 31 years with the Metropolitan Police Department in Washington, D.C., including in the homicide unit. On the deaths of Sterling and Castile: “To the police shootings in Minnesota and Louisiana, astonished. Not at the occurrence, but at the visual presentation of those and, as a law enforcement professional, I would not jump to, you know, make a ruling as far as whether they were justified, knowing that you have to do a full investigation. And that’s part of the process. “However, the indications of just what seemed to be unjustified initially, that would be my first impressions with those. And then, in all these situations through the past year, I always question just what was going through that officer’s mind. I try to understand it from a law-enforcement perspective, and give the benefit of the doubt that he’s out there on the street and I’m not. But then, I question just what is going through their mind. On Dallas: “As I saw things start to erupt with the protest in Minnesota and Louisiana, and I was praying, let’s not have another Baltimore. Then when the Dallas news started breaking, my wife, who’s also in law enforcement, said they were shooting and she noted that two of the officers appeared not to be moving on the street. And I said, from law enforcement, it’s very tragic and those officers first get safe and protected from that. Terry is a lieutenant colonel in the Prince George’s County Sheriff’s Office. He was born and raised in Washington, D.C., area, and has served on the force for 26 years (1991-present). He now works in an office, and he has been on active duty, during which he was involved with SWAT teams.